As mentioned in previous articles, my family home in Laindon was surrounded by fields. This area at one time came under the parish of Little Burstead. The field on the northern side of our boundary hedge had always been referred to by my parents as ‘Snags’. I know that some of the fields had belonged to Buckenham’s Farm, Southfields’ Farm etc., but the name ‘Snags’ had always puzzled me and research hadn’t provided an answer. 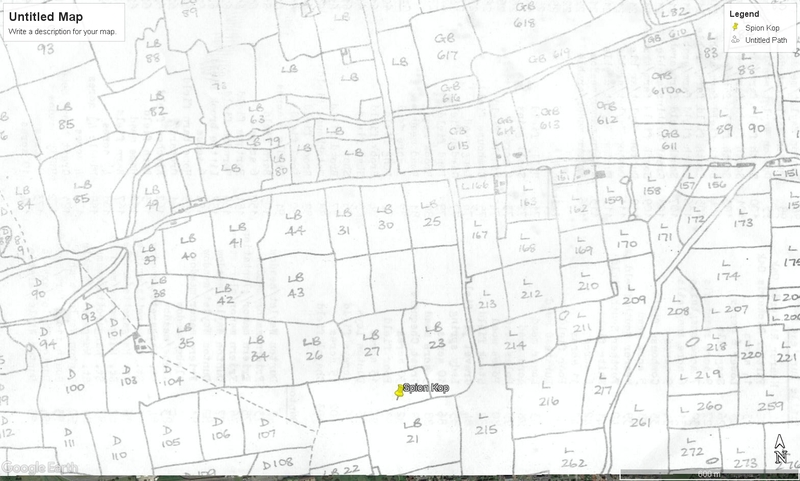 However, recently I was shown some photocopies of old field maps from 1840. 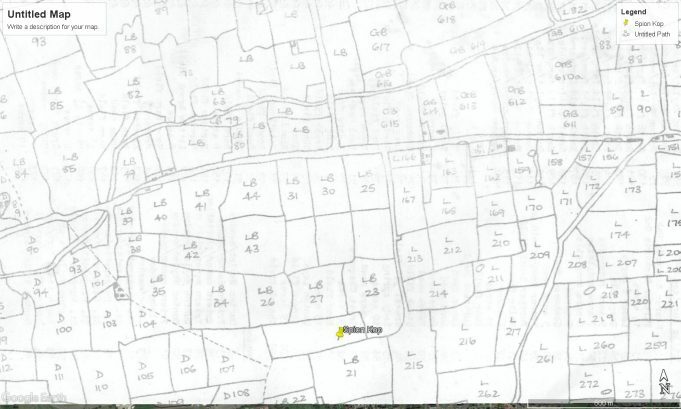 One page showed the area of my former home with most of the field names provided. Unfortunately our plot and four other fields are unnamed. The field I previously mentioned, on the north side of our hedge is marked as No. 27 ‘Snagtails’ along with three others, Nos. 26, 30 and 31. I assume these fields belonged to ‘Snagtails Farm’. I am now convinced that’s where my parent’s name for the field had originated – something I had never queried with them when they were still around. A trip to Essex Records Office followed. I looked through a bundle of old papers referring to the sale of ‘Broomhills’ and ‘Snagtails’ farms in 1797. It seems that the land and property in that area was owned by Guy’s Hospital and tithed to various farmers at various times. The two farms are described as being in Great/Little Burstead and were sold to a Sir Richard Neave, in order to reduce the hospital’s debts. Broomhills Farm is easy to trace and is still shown on maps. However, I have been unable to trace the exact location of ‘Snagtails Farm’. There appears to be little information available and as it was several centuries ago, it’s doubtful whether there was ever a photograph. Interestingly, names of other fields in the area were used for the road names on the King Edward Estate when it was built in the late forties and still remain today e.g. Home Mead, Brook Mead etc. The word ‘Mead’ being an old English shortened version of ‘Meadow’. The piece of land where my family home had stood was sold in 1904 by Thomas Helmore the Land Agent. Who had owned it up until that time I wonder? It changed hands in 1907 and was passed to my paternal grandmother in 1915. I grew up there with my sister and two brothers and have wonderful memories of when it was still mostly farmland. We loved ‘Snags’, it was a beautiful domed shaped meadow, full of corn in summer and cow pats in winter. My parent’s plot was compulsory purchased by Basildon Development Corporation in 1975. Snags field and many of the others are now covered by the Dunton Fields Estate, which I consider should really have be named Dunton ex Fields as there are no longer any fields there. I would love to know exactly where ‘Snagtails Farm’ had been located, what happened to it after it was sold in 1797 – was its name changed, was it demolished or sold on again? I will continue to research for any further information. Below is a copy of the field map showing the fields numbered and named. The field where my home ‘Spion Kop’ stood between 1915 and 1975 is tagged. 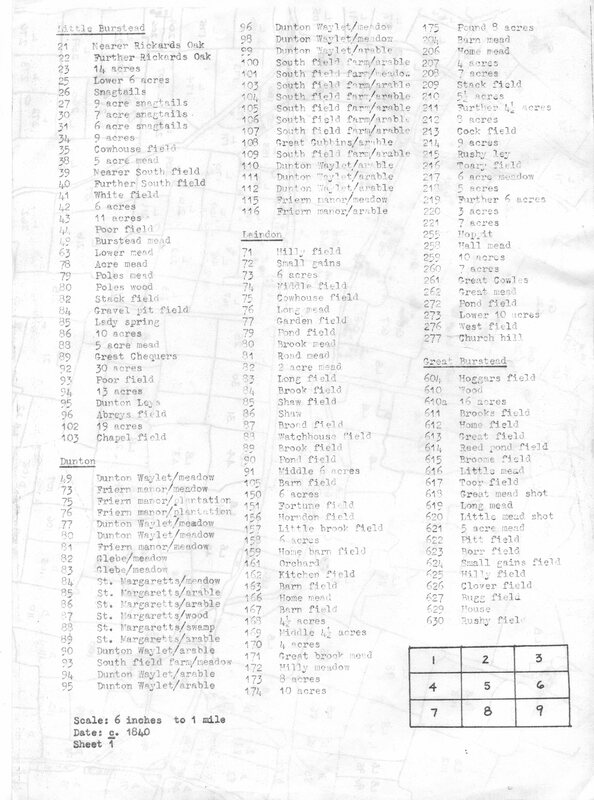 Our field and four others aren’t numbered or named – another puzzle! 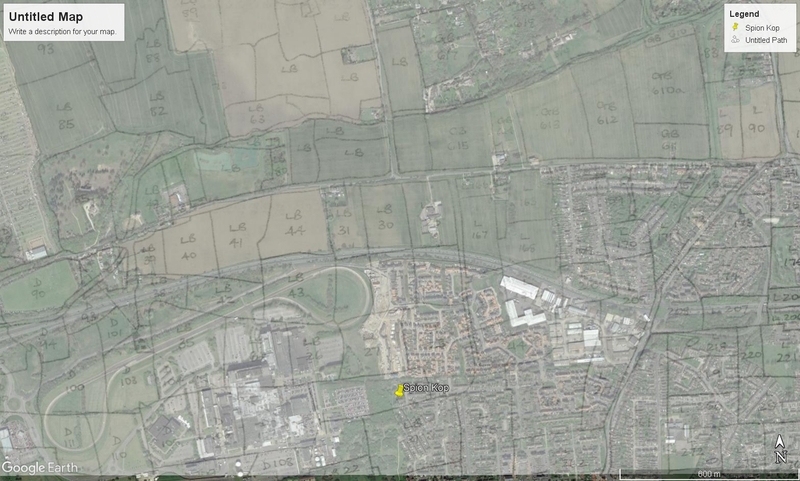 The map shows Dunton Road, but of course the A127 wasn’t built until 1925. The road running from left to right of the map, is Dunton Road. The High Road is shown on the lower right hand side of the map.